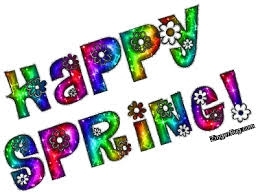 Happy 1st day of spring... Enjoy the snow. | A.B.E. Remodeling, INC.
Just a real quick greeting to wish you all a happy first day of spring as well as a happy spring season. Of course we are all ready for the real spring to arrive instead of the snow that is currently steadily falling to the ground. It is a pretty snow... but the poor crocuses want to make their presence and they can't quite climb through the snow. Come on Spring... bring on the sunshine, the flowers, the new growth, etc. If you arrive in full bloom you will put smiles on our faces. In any event, everyone enjoy your day and have a wonderful weekend.